The 2017 Yamaha Dealer Open House schedule is set! 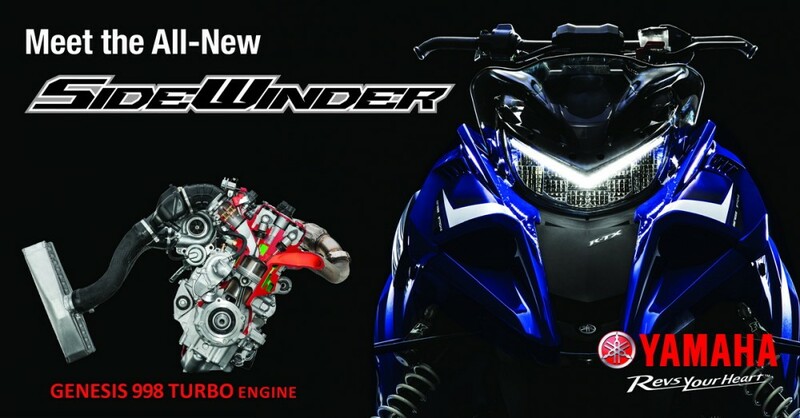 Stop by one of these participating dealers to check out the new Turbocharged Sidewinder for yourself. Reps are on hand to answer questions. Special Open House offers available! If the Manufacturer’s Sneak Peek show tour doesn’t stop near you, this is a great way to touch and see a Sidewinder before the end of Spring Power Surge.